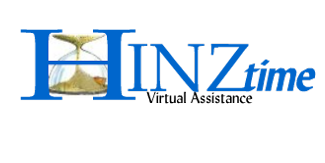 HINZtime Virtual Assistance :: Are You Ready to be a Virtual Pioneer? If you had asked me about being a Virtual Pioneer 3 years ago, I would have wondered what you were talking about (even though I’d been doing it for the past 20+ years!). It just never dawned on me to refer to myself as such. You know the saying…it could be staring you right in the face and you’d never see it….Ah well, live and learn! Enjoy this article written by Patty Benton, a fellow Virtual Assistant. Throughout our history, we’ve had adventurers and pioneers. People who have taken risks and were driven to follow their dreams. People who didn’t stop when small trials or tribulations came up. Maybe you’ve tinkered with the idea or have already taken the leap – whether employed in a traditional work setting or starting a business as a home-based professional, you know there’s something tremendously appealing about working virtually. In fact, it’s an option that’s becoming increasingly popular in today’s society. Statistics show that one out of five people in a traditional work setting are telecommuting at least one day a week – and, in the U.S. alone, statistics reveal that home-based workers constitute a $427 billion a year industry, 52 percent of all small firms. Many of us have worked within the traditional norm of “going” to work every day… And today’s norm is increasingly shifting to the commute being just a few steps down the hall at home to go to work. Working virtually offers individuals the ability to have more freedom over their own schedules. Whether you’re a parent who wants to be able to volunteer in your child’s classroom or you want to have time for home projects or you know you work best late at night so working in a “traditional” environment just doesn’t work for you…. Being able to manage your own schedule is very freeing. It is a wonderful thing to plan your work around your life rather than the other way around. With client interactions at a minimum, a “professional” wardrobe for a virtual professional does not translate the same as a “professional” wardrobe for a corporate executive. Most days, wearing something as simple as jeans and a sweater or polo is professional enough for working from home. With the majority of contact coming through email or the phone, pin-striped power suits are now polka-dotted pajamas! Your coworkers and networking contacts are no longer on the other side of the cubicle/office wall. With virtual workspaces, there are virtually no limits. Chatting with a fellow professional from Australia while working on a project for a client in Germany and sitting in your office in Colorado… Well, you get the idea! In addition to flexible scheduling, you also get to still be there for your family. There are wonderful things that happen every day in your children’s lives. With working from home, I have been there for first words, first steps, first teeth and everything else. Even with incorporating in-house help, I have still been there for it all. # 5 – Best of all… Lunch! With working from home, you don’t have to worry about not eating Greek or garlicky Italian food or anything else that you desire for your lunch break. Bottom line… You have options. Thirty years ago, home computers weren’t that common. Home offices often consisted of bookshelves, a writing desk and a telephone. Now, home offices can connect you with the rest of the world at the touch of a button. So, surround the virtual wagons and set up your wireless connection. With the empowerment of technology, innovation and flexibility, working virtually allows you to remain close-to-home and have a global impact. Don’t allow yourself to be encumbered by the past… Break new ground and grant yourself permission to be a virtual pioneer! at Work www.actatwork.com and is co-owner of Virtual Business Group www.virtualbizgroup.com an online networking organization for Virtual Professionals.